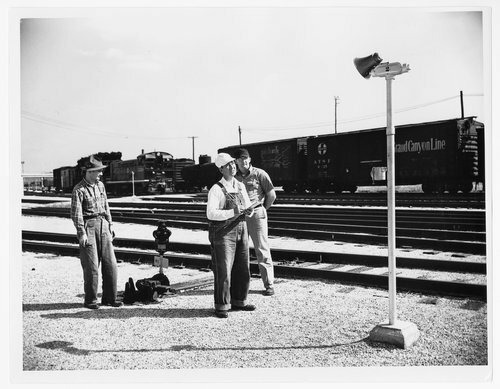 This black and white photograph shows employees from the Atchison, Topeka & Santa Fe Railway Company at the yards in Argentine, Kansas. The man in the white cap has been identified as engine foreman D.A. Hargis.